EghtesadOnline: Iran, India and Afghanistan held trilateral discussions for the first time ever in Kabul earlier this week. The Indian contingent was headed by Foreign Secretary Vijay Gokhale who met with the deputy foreign ministers of both countries. 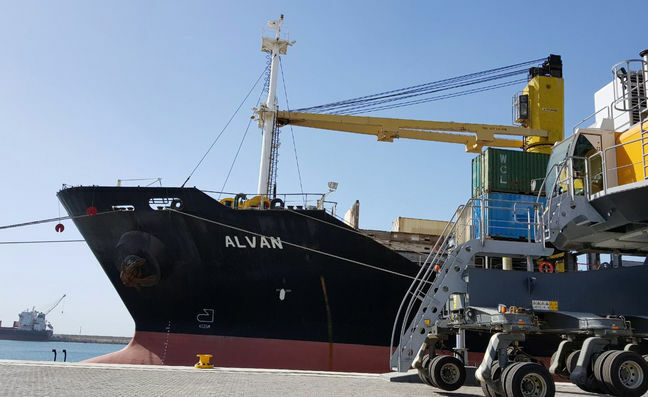 While a number of issues were discussed, such as cooperation to counter terrorism and drug trafficking, the focus of discussions was the long-delayed Chabahar Port project on Iran’s southern coast, according to Financial Tribune. The issue had been overshadowed by the reimposition of sanctions on Iran by the administration of US President Donald Trump this year after it pulled out from the nuclear deal in May, Business Insider India reported. First conceived in 2003, Chabahar Port, which can be accessed from India’s western coast, is envisioned as a strategic competitor to the Gwadar Port that China is developing 100 km away in Pakistan. Once developed, Chabahar is expected to boost trade not only between India, Iran and Afghanistan, but with a host of Central Asian countries, which can transport natural gas to India. It makes sense for India because it can bypass Pakistan when conducting trade with these partners. Pakistan does not allow overland transit for Indian entities. Iran and India signed an agreement in May 2016 to commence work on the port. At the time, the development of the port was to be divided into two phases. India agreed to invest $500 million for developing two berths in the first phase of the project, along with $1.6 billion for a rail link from the port to Afghanistan. Phase 1 was inaugurated by Iran’s President Hassan Rouhani in December 2017. India Wavers, China Steps in? Due to repeated delays on the project from India’s end, Iran was said to be mulling a proposal to bring China on as a partner for the project. China’s participation would go against India’s interests, not only because it would lose out on significant trade opportunities but also due to the fact that it would increase China’s footprint in the region. During its 2+2 talks with the US last week, India made a case for its participation in the Chabahar project, explaining how it would benefit Afghanistan from an economic standpoint, mainly due to direct connectivity with India. Iran, India and Afghanistan decided to hold a more substantive round of talks on the subject in 2019, when the possible effect of sanctions on Iran will be more certain and the former receives an official go-ahead from the US for its participation. The major impetus behind this week’s discussions was to likely show that the three parties, especially India, were committed to developing the port. A senior US government official said the Trump administration, which is determined to impose fresh set of sanctions on Iran and countries and entities engaged in business with Tehran, is currently reviewing India’s development of the strategically important Chabahar Port in the Islamic Republic, DNA India reported. “We are reviewing [the Chabahar project] in the context, in particular of Afghanistan, and in the spirit that the idea of our sanctions are not to punish partners or to imperil partners, but to bring a price tag for Iran’s malign behavior,” Alice Wells, principal deputy assistant secretary of state for South and Central Asia, told a Washington audience. “As we review the issue of Chabahar, it’ll be in the context of what it provides for the stabilization of Afghanistan or for the kind of regional connectivity that serves other interests as well. But it’s an ongoing process of review,” Wells said in response to a question at the Center for Strategic and International Studies, a top American think-tank.